One of our Blog readers complained about the Airtel BlackBerry Subscription that He subscribed and he only got 10MB instead of getting the usual 2GB + 10MB as explained here -> Airtel BlackBerry Plan Still Working on Android Devices and PC. I responded by telling him that the Airtel BB Subscription is still working, maybe he didn't follow the procedures very well. But yesterday, I also tried to subscribe to the Airtel BB Subscription and I was so frustrated with the strange responses I got from Airtel. Firstly, I will like to apologize to our Blog Reader who complained about the Airtel Plan, because his complaint was right while I was wrong. Secondly, the main reason for writing this post is to let everyone know about the new changes in the Airtel BlackBerry Plan. Thirdly, note that you may get another totally different response from Airtel when you are subscribing to this plan. Now, lets go straight to the update. Make sure you read this post completely so that you won't have any problem while subscribing to the Airtel BlackBerry Plan which is still working on other devices. Update 1 - The Activation process for the Airtel BlackBerry Subscription is still the same as explained in this post -> How to Activate The Airtel BlackBerry Subscription to Browse on Any Device and it is still working on every other devices up till the very moment this post is being published. 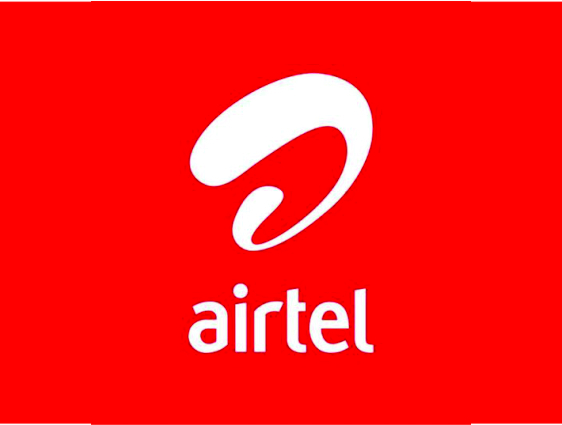 Update 2 - When I subscribed to the Airtel BB Plan yesterday, my money was deducted and I got a message that - "Your Airtel BlackBerry Service Was Successful". But unlike before, when I checked my Data Balance using both the *141*712*0# and *123*10# USSD code, I got a response that - "You do not have an active Data Plan". Update 3 - Few minutes later, I got 3 different messages from Airtel. The first one reads - "Dear Subscriber, your Airtel Unlimited BlackBerry Service is Live. Please remove and replace your battery to get the service running." The second message is - "Your Airtel BB Unlimited plan is active. Re-insert your battery. This plan is for BB devices only. Experience and charging may differ in case of other devices." While the third one is - "Dear Subscriber, your current Airtel Unlimited BlackBerry Monthly Service expires on Sun 4 May, 2014. To disable auto renewal, please send stopautorenew to 440." Update 4 - Despite all the contradicting responses from Airtel, the Airtel Subscription plan still worked almost immediately after I subscribed. Its even faster and better !!! The Airtel BlackBerry Subscription is still working for me, even though the response is different from before and I hope it's also going to work for you too. If you want to subscribe to the plan, I'll advice you to do it on a Blackberry device although I did mine on an Android Phone and it still worked for me. After your subscription, don't panic if your money has been deducted and you check your data balance to find it empty or inactive, it also happened to me. What matter most is, ensuring that the subscription is working afterall. In the 3rd update above, I quoted three messages I got from Airtel which gave me rest of mind that my money is not yet wasted. The first message shows that the service is live even though my data balance cannot be checked. It also shows that (maybe) the Airtel BlackBerry Service is now Unlimited since the message I always get before usually look like this - "your Airtel BlackBerry Service is Live" not like this - "your Airtel Unlimited BlackBerry Service is Live". The second message shows that Airtel is now enforcing the Airtel BlackBerry Subscription to BlackBerry Devices only, they also stated that the experience and charging may differ in case of other devices. These statements shows that not everyone of us will get the same experience and response from Airtel during the subscription activation process. The third message stated that my Airtel Unlimited subscription will expire on the 4th of May, 2014. So, I will use my current subscription heavily and if the subscription is still active until the stated expiry date, I guess it means that the Airtel Subscription is truly unlimited then. Hope this post will be of help whenever you are trying to subscribe to the Airtel BB Plan, since it seems like it's the most affordable plan for Android, Windows and PC users in Nigeria at the moment. Please, kindly share your experience and other affordable subscription plans you know with us by using the comment box at the bottom. Also, it'd be nice of you to share this update with others so that they will know what's up with the Airtel Subscription. Blessings !!! I renewed my subscription on monday and i did not get any of those messages even though my internet subscription was renewed automatically. But it has suddenly stopped working since yesterday and when i used the new airtel bb code to check,it showed that i have 0MB left which is very strange considering i just renewed 2 days ago. Do you have any idea what could help? Oooh, That's really strange. I guess it has been exhausted. Airtel seems to be charging twice of what you use on their Data Subscriptions especially on Non-BB Devices. I have subscribed to th's 2Gb for 1500 twice just this month. I found out that my data gets finished after 6 days of subscribing. What could be problem, is it airtel trying to force us to stop using the service by wiping our data after We just subscribed? Pls note I didn't do any heavy download when I subscribed. What other airtel plan can you recommend for me. How do I renew my data that is already exhausted b4 the due date? You'll renew your data with the same code you used to subscribe. That's probably due to the network in your location.